If you’re looking for affordable motorhome hire then you’ve come to the right place. Practical Car & Van Rental’s Motorhome division is the UK’s premier motorhome rental company, serving London and the rest of the UK. UK Motorhome Specialist Rental Division is strategically located in London and the South East. There are several rental locations serving all major international airports within London including Heathrow, Luton and Gatwick airports. 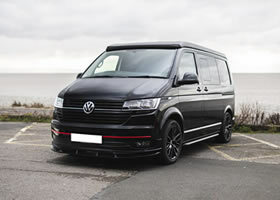 Ashford Motorhome Hire, Biggin Hill Motorhome Hire, Bromley Motorhome Hire, Chippenham Motorhome Hire, Heathrow Motorhome Hire and Sittingbourne Motorhome Hire. European campervan rental can also be arranged on request. Motorhome Hire is the ideal way to explore the U.K. You can tour anywhere within England, Scotland and Wales at your own pace with one of our highly specified Self Drive Hire Camper vans. We have 4, 5 and 6 berth Rental Motor homes available to accommodate all your hire needs. Our Recreational Vehicle (RV) Hire is tailored to suit your individual requirements. Each site offers a varied range of popular recreational extras such as cycles, satellite navigation, child seats and TVs. so please ask. Just enjoy the freedom of the road and save money on accommodation too! Practical Motorhome Hire, Head Office, Practical House, 21/23 Little Broom Street, Camp Hill, Birmingham, B12 0EU.